Mt Ashland Hill Climb Bike Race – Mt Ashland Hill Climb Bike Race where the road bikers race the mountain bikers to the Mt. Ashland Lodge. 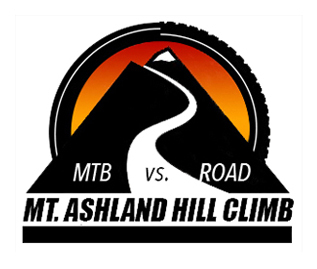 In this event the mountain bikers race the road bikers to the Mt. Ashland Lodge. Unique event piting mountain against road. Starting in downtown Ashland Oregon. You mountain and cyclocross riders will start climbing immediately out of the Plaza on Winburn Way turning left on Granite Street.